for $360,000 with 3 bedrooms and 2 full baths, 1 half bath. 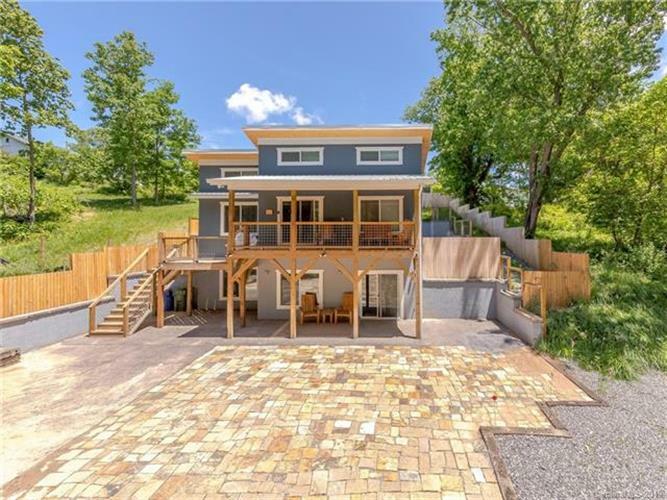 This 1,728 square foot home was built in 2016 on a lot size of 0.120 Acre(s). Relax on the upper deck or back patio area of this modern home near the River Arts District and the French Broad River; Contemporary windows and vaulted ceilings fill the home with natural sunlight; Beautiful hardwood flooring throughout main level; Entertaining is easy with the open floor plan and upgraded kitchen island; Lower level offers polished concrete flooring with two bedrooms, family room and laundry; Space for everyone to enjoy all that downtown Asheville has to offer.